This 4-tier footwear rack provides a great storage solution for your collection of favorite footwear. Constructed from strong materials to make it. 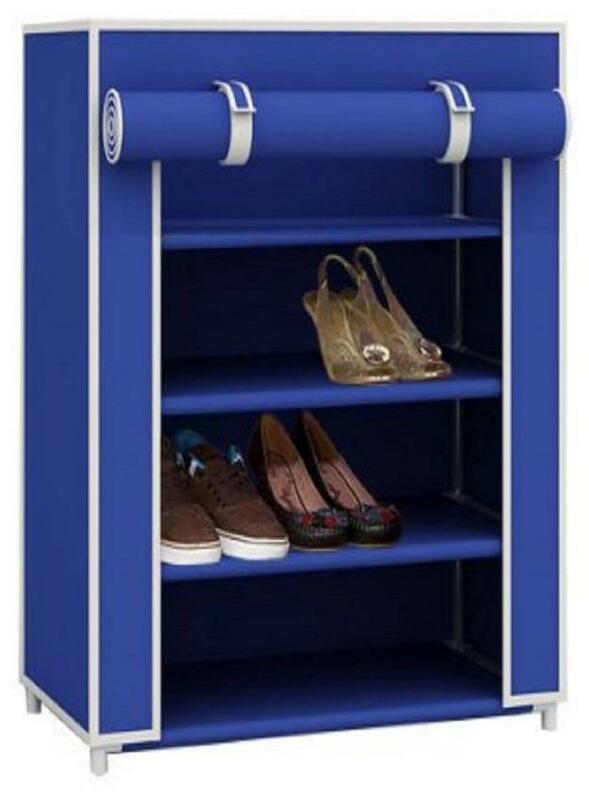 can hold numerous pairs of shoes. When guests or friends come, you can just zip up the front cover to hide your shoes. It would make a great addition to a closet, bedroom or mudroom. Please avoid moving after fully assembled or with shoes on it; if you have to, please clear it out before moving; 2. To increase the stability, please put the heavy stuffs on the bottom shelves.